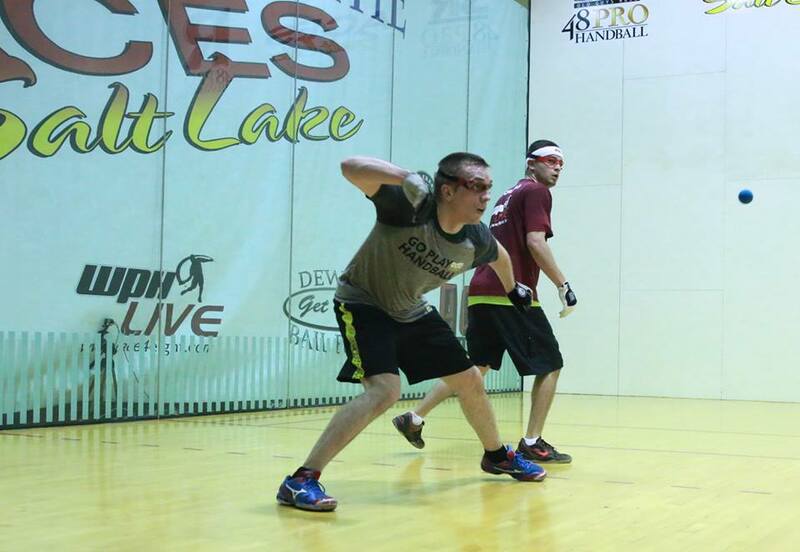 Americans dominated 4-Wall handball throughout the 20th century, winning every 4-Wall men’s open national championship held since the inception of the USHA 4-Wall Nationals in 1951 and every pro stop in the 20th century. The Irish made strides in the 1970’s, with Pat Kirby establishing himself as one of the best players in the game. Ducksy Walsh continued the trend of top Irish players in the 1980’s, as the Irish proved to be worthy adversaries to the Americans but never capturing one of the game’s biggest titles on American soil. Irish born Tony Healy became the first Irishman to appear in the USHA 4-Wall Nationals Final in 2003, coming in second to John Bike, Jr. Healy’s run to the final signaled the beginning of a new era, an era that would be thoroughly dominated by the Irish. Let’s examine the numbers, how the shift in power occurred, what the Irish doing today that enables them to thoroughly dominate their American counterparts and what the Americans can do to regain 4-Wall handball supremacy. From 1955 to 2002, no Irish players appeared in the USHA 4-Wall men’s open final. Since 2005, 12 of the 24 USHA 4-Wall Men’s Open finalists have been Irish. The WPH Race 4 Eight has never featured more than four Irish players in the same draw in 21 events, but two of the three Player’s Champions have been Irish, with three of the six Player’s Championship finalists hailing from Ireland. 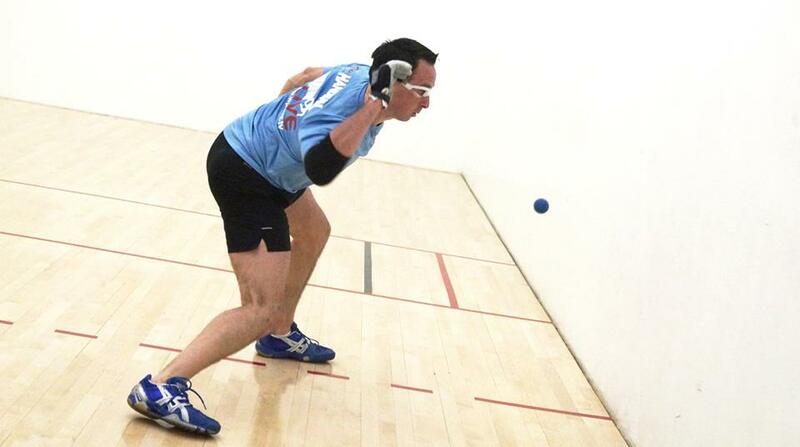 The initial shift in power occurred in 2003 when Tony Healy became the first Irish-born player to reach the finals of the USHA 4-Wall Nationals, defeating David Chapman in a thrilling 11-9 tiebreaker in the semifinals. The shift of power officially began with Paul Brady’s victory at the largest prize money event in 4-Wall handball, the 2004 Ultimate Handball Showdown, featuring $50k for first. Brady’s monumental victory over undisputed number one David Chapman would be the start of the most dominating run in the history of pro handball, with four world singles championships, nine USHA 4-Wall national singles championships in nine appearances, a Race 4 Eight Player’s Championship and just two singles losses in nine years. Paul Brady’s victory not only launched his ascent to handball super-stardom, it instilled in the belief in other Irish hopefuls that crossing the Atlantic to win championships on U.S. soil was possible. Current U.S. Open doubles champion and Brady and Healy contemporary Dessie Keegan believes that Brady and Healy ushered Irish handball training and belief to a new level by training like pros, studying the games of the top Americans during their early years on the pro tour, and implementing a more modern and attacking style. By elevating their games, Brady and Healy elevated the games of their contemporaries, as well as the next generation of Irish handballers. The Irish junior system has produced a steady stream of elite men’s and women’s challengers and champions for the past decade, while nationwide American junior programs that existed 20 years ago seemed to have disappeared. Irish juniors programs instill the fundamentals at an early age, teaching all of the necessary handball strokes required to become a great players, as well as making the junior handball experience inclusive and available to virtually all young people in Ireland. Irish juniors have the opportunity to play with and against one another as they mature, as opposed to most current American juniors who generally have the opportunity play only adults. The Irish juniors travel to the United States each year as a team, forming bonds and friendships that transcend handball. These bonds and friendships motivate the Irish to continue playing and improving, as opposed to American juniors that often gravitate towards team sports with their peers. Irish players travel to the United States filled with enthusiasm to succeed in the United States’ biggest events. Many of the Irish only travel to two or three major events in the U.S. per year, in comparison to the top U.S. players that are competing in 10-15 U.S. based events per year, many of them in their second or third decade on the circuit. The Irish arrive three to four days before an event to acclimate to the conditions, while Americans generally arrive the night before an event or even the day of an event. The Irish approach the tournaments as an experience and an opportunity to test themselves against the best from the west, while the Americans often approach the events as a chore. The Irish turn handball into a team sport, always supporting one another during matches, traveling together, and spending virtually all off-court tournament hours together at events, similar to the Europeans at the Ryder Cup. The Americans are lone wolves, rarely supporting one another during matches and operating as sole practitioners on and off the court, rarely supporting one another during matches and eschewing camaraderie in favor of their pre and post-match routines. The Irish are taught to approach the game scientifically, always using every angle and inch of the court to gain an advantage. The Americans have developed a more one-dimensional game, relying on low serving and aiming to strike the next shot as low as possible. Many of the American pros are reliant on just the sidearm swing, limiting their options during a rally. The Irish elite players, however, have developed a command of every stroke on the handball court, including the sidearm string, the Irish whip, the paddle stroke, and the overhand stroke. The entire repertoire of swings enables the Irish to play a variety of shots, thus making them more creative and less predictable. Since the inception of the USHA 4-Wall Nationals in 1955, the U.S. has always possessed a dominant player. Vic Hershkowitz, Jimmy Jacobs, Paul Haber, Fred Lewis, Naty Alvarado, Sr., John Bike, Tati Silverya, and David Chapman all dominated their respective eras, but since the end of Chapman’s prime in 2004, there has not been a U.S. player that has taken the torch, thus opening the door for Paul Brady and the rest of the top Irish to assume ownership of the elite handball mantle. As recently as 30 years ago, the USHA 4-Wall Nationals boasted over 900 participants in less than 10 divisions. Regional tournaments regularly featured 500 players, many of which had learned the game in college or at their YMCA. Today’s USHA 4-Wall Nationals regularly features less than 300 players in over 60 divisions, demonstrating the lack of available talent pool. The elimination of courts, an increase in non-competitive sports such as weight lifting, yoga, and Pilates, the innumerable choices for exercise afforded in today’s society, and the lack of handball programs across the country has cut U.S. participation by nearly 450%. On the contrary, handball is one of the three national sports in Ireland. Young people are not afforded the hundreds of choices for exercise and sport in Ireland as the young people in the U.S., and as a result, Irish junior programs possess more junior players in one Irish county than play in the entire United States. Dozens of Irish programs boast over 100 young people, while Irish junior national championships regularly feature over 500 kids. In comparison, the U.S. junior nationals frequently draws less than 60 U.S. born players. The U.S. players have been maligned for lacking mental strength and a professional approach to competition. While widely recognized as being supremely talented, the mental strength of many of the top U.S. pros has not been matched by their physical abilities. On the contrary, the elite Irish players have been lauded for maximizing their abilities and talents by combining exceptional fundamentals with extraordinary conditioning and the will to win. Most of the top Irish handball players live within a one hour drive of one another, meaning that the players can easily play one another two or three times a week, simulating tournament conditions while still making it home for dinner. American pros are scattered across the country, with some being as far as 1,000 miles from a competitive game. The current generation of elite Irish players is roughly seven years younger than their American counterparts, many of which are firmly entrenched in their peak physical ages. According to AskMen and Axon Sorts, 22-29 is the age for peak athletic performance that combines the cognitive and explosive abilities of an elite athlete. The average age of the top seven elite Irish handball players is 25, the prime of an athlete’s career. 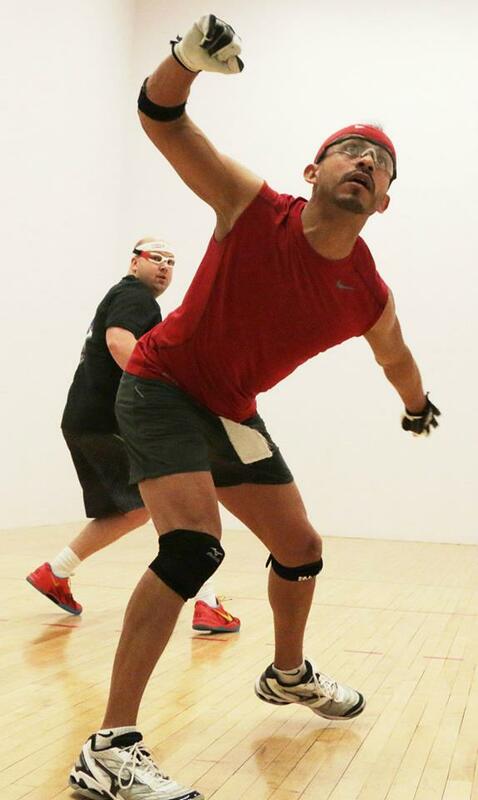 The average age of the top seven American handball players is north of 30, at 32. Several of the top American pros are on the wrong side of 35, while even those in their late 20’s and early 30’s have over a decade’s worth of pro handball wear and tear. The younger Irish players possess a decided advantage later in tournaments against their older American adversaries. Unfortunately for American handball fans, there does not seem to be a generation of American handballers poised to replace the current generation of early and late 30’s stars. “These figures tell me that America has lost out on a generation of pro players and therein lies the American problem,” stated Keegan. How can the Americans shift the power back to the States? The shift in handball power from the U.S. to Ireland took nearly a half a century and shifting the power back will not happen overnight. As illustrated, the Irish hold significant advantages over the Americans in training, coaching, strategy, enthusiasm, belief, camaraderie, and junior programs. The most glaring weakness for the U.S. is the lack of junior programs and handball mentors across the country. Unfortunately, handball is not an attractive avenue for young people in the U.S. because very few young people are playing. Unless an American youngster’s father introduces him to the game and takes him to tournaments, the youngster will likely never play or be introduced to handball. Even with the coaching of his father, a young person is inclined to play another sport at school or with his friends to be part of a community of peers. Handball has to become “cool” in order to appeal to young people, and the only way to bring “cool” into handball is for young people to have local programs with passionate coaches, dozens of kids their age to play alongside, and local and regional junior tournaments for the youngsters to meet and compete against their contemporaries. Unfortunately, most handball players in the United States are only concerned about their weekly games, not in teaching the game to the next generation. On the contrary, many adult Irish players feel a sense of obligation and fulfillment in teaching the next generation the sport, often sacrificing their own court time to mentor the youth. Flourishing junior programs in the U.S. would yield the next handball boom in the U.S., while providing tremendous benefits to today’s youth, including camaraderie, maturity, discipline, teamwork, sportsmanship, and developing the competitive spirit that carries into adulthood. The challenge rests with every handball player to leave the game in better hands than which he found it and give back to the sport that has meant so much to him. The next Luis Moreno and thriving junior program is waiting to be discovered and it’s up to every handball player to rise to the occasion and make it happen. Thank you to Naty Alvarado, Jr., Marcos Chavez, Stephen Cooney, Boak Ferris, Dessie Keegan, Martin Mulkerrins, Mike Schneider, and Dave Vincent for their invaluable handball expertise!